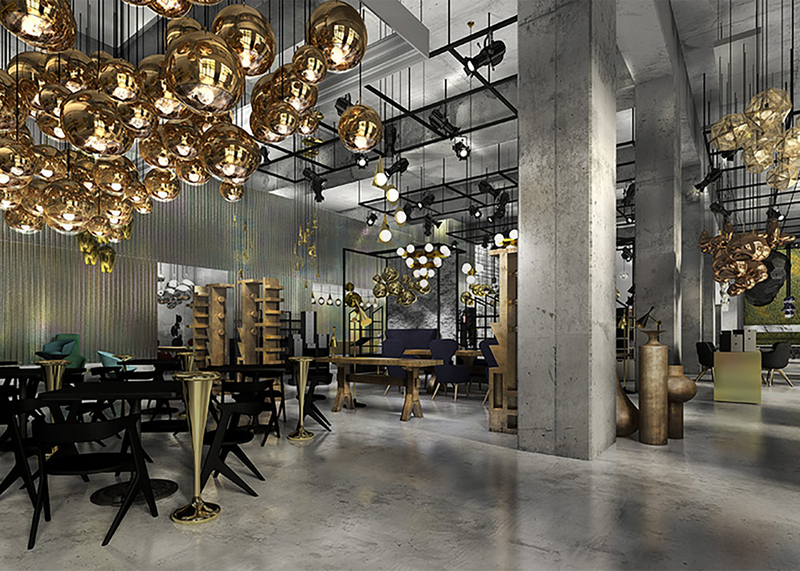 Business news: British designer Tom Dixon has opened retail locations in Los Angeles and New York in the space of a month. Dixon's new bi-coastal ventures aim to further cement his place in the growing US design market, following the success of his brand's first showroom in New York. "In a landscape dominated by professional showrooms and multi-brand retailing chains, we have made the choice to evade the status quo and offer to the US intriguing retail concepts that will bring to life the Tom Dixon experience and offer consumers a new way to interact with the brand," said the studio. The 7,000-square-foot (650-square-metre) LA space opened last month in Culver City. A collaboration with US fashion boutique Curve, the store is designed and furnished by Dixon and carries a range of his products, as well as offering clothing and food. The city is becoming an increasingly important centre for architecture and design, as creatives continue to move there from elsewhere – particularly New York. In the Big Apple, Dixon is taking over a four-storey building on Howard Street in SoHo. Also designed by his team, the temporary retail space – opening today – showcases the brand's latest furniture and homeware for both walk-in and wholesale clients. The basement space provides material samples, prototypes and decorative items for interior designers, which will constantly be changed and updated. "The raw and unfinished interiors of this temporary showroom will provide a fittingly theatrical backdrop for us as we highlight futuristic lamps, heavyweight furniture and extraordinary accessories," the studio said. Dixon opened his inaugural New York showroom – his first outside London – on nearby Centre Street in November last year, when he told Dezeen that America has become "a land of opportunity" for his brand. A host of European furniture brands have set up shop in America over the past year, restructuring their US businesses to take advantage of booming sales. The Tom Dixon brand was first set up in 2002, and is best known for its metallic lighting and home accessories. It was sold to British firm Neo Investment Partners in February 2016. Dixon's most recent product launches include a range of homeware that references the brand's material "building blocks", while his studio has also completed a series of co-working spaces in London.